Red fish chum salmon, which are representative of the salmon family, is more fatty, nutritious and more expensive than pink salmon. Salt salmon is not only delicious, but healthy snack for any table. In the composition of chum salmon there are various vitamins, minerals, fatty acids, which help prevent atherosclerosis, myocardial infarction and ischemic stroke. 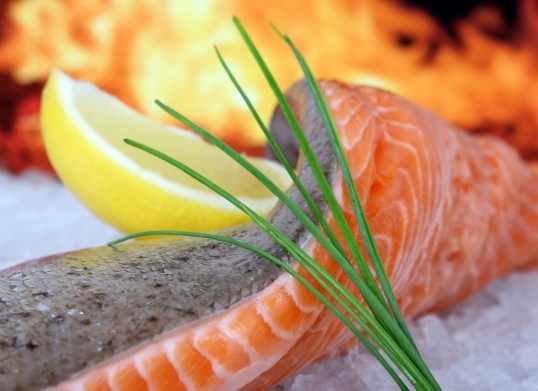 If you purchased a frozen salmon, it is initially required to defrost. Keep in mind that gutting the fish is completely thawed. When butchering salmon first thing vsporite fish's belly, as it may contain eggs. Next, disassemble Ketu all the rules and can proceed to its salting. Ketu can be salted whole, pieces or fillets. The bigger your fish, the more time it will take to salting. Consider recipes pickling chum salmon in brine and in oil. One of the most popular methods is salting of fish in brine. This method is often called wet. The best way to salt fresh fish that was never frozen. - spices for fish to your taste. In the tank, connect salt and pepper. The resulting mixture RUB the salmon. In a container or plastic container at the bottom lay the Bay leaf and sprigs of dill, then place the salmon pieces skin down, pour the lemon juice and add dill and Bay leaf. The next layer of fish, you need to put the skin up. Lay the salmon this way until all the fish. The container with the fish, put under the yoke and leave in refrigerator for 2 days. Excess salt can be removed with a cloth. Before use no need to rinse fish as it can impair its taste. - Bay leaf — 4-5 PCs. Fish fillet cut into pieces. Prepare the brine. To do this in a separate container to combine vegetable oil, sugar, salt, a few Bay leaves and a small amount of pepper for your taste. The fish pieces mix well in the oil brine, and then pour into a clean jar, which you then send in the refrigerator for 10 hours. After a specified time, a great snack is ready. Saline thus Ketu can be stored in the refrigerator for about a week.